Television shows such as ‘Guerilla Date’ and ‘One Night and Two Days’ are being filmed on university campuses. With the accepted idea that campuses are open to the public, Sookmyung Women’s University has also recently been the background for a shoot in which SHINEE performed. Besides being a TV show backdrop and having numerous film crew members all over the campus, Sookmyung also sees a great number of high school students, tourists, and adults visiting the campus daily to tour the around Sookmyung. While there are both positives and negatives to opening up university campuses to the public, the main topic of debate is the anxiety felt by students themselves. Universities began opening their gates to the public to show their desire to live in harmony with their surrounding neighbours. The gates were also opened to provide free education learning access to resident locals and others’ wishing to take advantage of the opportunities the schools provided for learning. One such learning opportunity came last April when the Asia Problem Research Center of Korea University held an open invite lecture on “Understanding the history of Northeast Asia by looking at the history of Poland.” Enrolled students as well as the general public were invited to join the lecture. Lectures and events aim to pull all people in society together to create a harmonious society. In other words, the public is given access to university learning. Universities are doing their best to please the majority since the main objective of this modern initiative is to benefit everyone as whole. 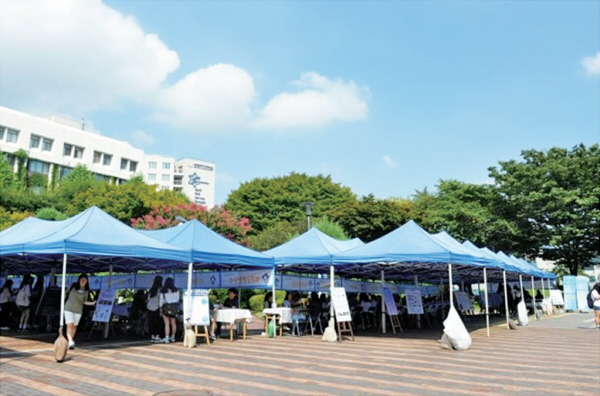 Sookmyung Women’s University hosted an event named ‘Open Campus’ last September in which middle and high school students were invited onto the campus in order to discover more about majors offered at Sookmyung. Kim Gunpyo, Dean of Public Relations at Taekyeung University, said, “We have opened several programs up to the public, so people from all walks of life may come to university to learn about massage and skin care, and we have received much positive feedback. I believe that sharing university programs with residents helps not only local residents but also the students themselves.”1) However, true ownership of a campus lies not with the public but with a school’s student body. According to Financial News, recent years have seen an increase in the number of locals visiting university campuses to relax in air-conditioned rooms and escape the heat of the summer. Nearby residents are even seen coming on campus with their children. One man in his thirties said, “I bring my children to the student restaurant on campus to let them rest and eat in an airconditioned environment.”2) Because of the increased number of people on campus, students must endure hardships like the difficulty of finding a seat in the canteen or a quite spot to sit and study on campus. Though the opening of campus gates is an act of social responsibility, universities are failing to take into account valid complaints made by their student bodies. Among the disadvantages, the biggest disadvantages for students are the number of visitors open campus lectures and events bring. While visitors are merely taking advantage of the free programs and strolling about the beautiful campuses, students feel inhibited by them. Campus becomes more of an information center for tourists rather than a place of academia. 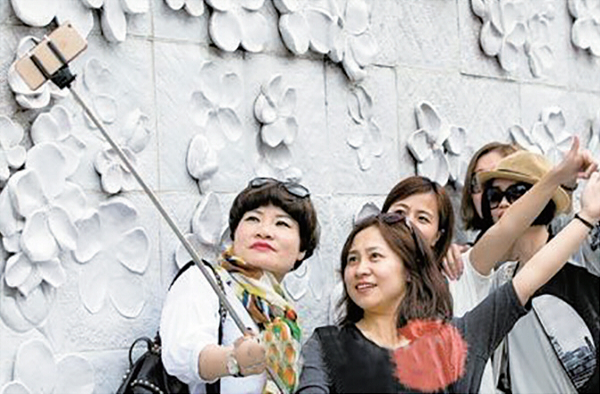 For example, there has been a huge rise in the number of Chinese tourists visiting Ewha Women’s University to take pictures on its campus grounds. ‘Ewha’ has a similar pronunciation to the Chinese character ‘Lipa’ which means ‘money multiplies’, so Ewha Women’s University has become a must-visit spot for Chinese tourists. 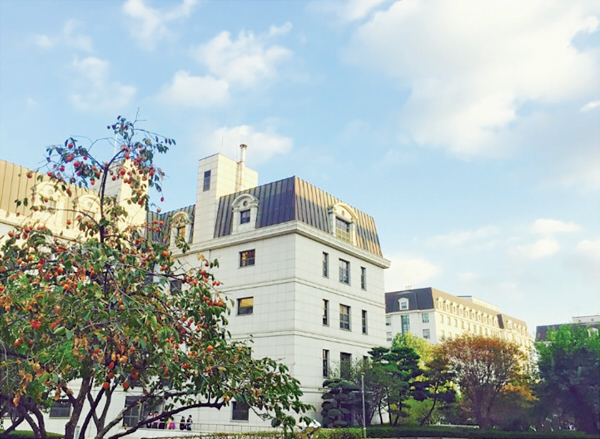 Hwang Sujeong, student at Ewha Women’s Univesity majoring in English Literature ’14, said, “Everyday tourists come to the campus to tour about, take pictures, and chit-chat in front of ECC reading rooms. While I am proud that people visiting Korea seek our school, I sometimes feel uncomfortable and distracted when they roam about the campus.”3) As Hwang states, students are feeling the discomfort and suffering hassles due to the current trend of opening campuses to the public. The open gate policy also interrupts academic studies. 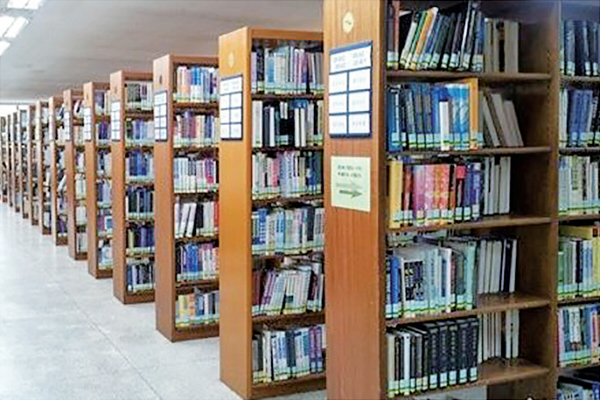 Some universities like Seoul National University have not only opened up its campus grounds and classrooms to the public, but has also opened its library doors as well. Complaints were numerous and loud from students claiming that the seats which should be for the student body were being taken by outsiders. In other words, there were few opportunities to study in the library, which greatly affected students during examination week. Students were forced off campus to cafés and public libraries. Yoo Jinah, fourth year student at Kookmin University majoring in Film and Theater major, said, “People other than campus students frequently take reading rooms and even if they are not currently using the rooms, leave their bags in the reading rooms so that students cannot use them even at odd late hours.”4) Because of their inconsideration for students, students who really need to use the library cannot. In addition, SNULife, the online noticeboard of Seoul National University, has had a flush of eyewitness posting on the issue of outsiders on campus: “Outsiders snores in the library”, “Pissed off because of an outsider took a call in the reading room”, and “A single outsider reserved two spots in the library.”5) The policy of open campus not only distracts students from their studies but prevents them from studying and thereby violating the right to learn as a student. Lastly, an open campus could have a negative effect on students’ safety and increase the chance of robbery. With a campus open to all, students face increased chances of encountering car accidents. Recent investigation found that car accidents for the first half of this year at Seoul National University involving taxis and cars increased 13 fold. It now ranks top for having the most car related accidents on campus in Korea. Besides this, pedestrianmotorcycle incidents soared 11 times normal, and accidents involving buses, bicycles, and trucks rose 9 times.6) Upon further investigation, it was found that the accidents mostly involved nonenrolled student who had freely come onto the campus. Along with accidents related to vehicles, reports of robbery by people not connected with the university also rose. For instance, last July, Manan-gu police officer in Anyang arrested a suspect accused of multiple thieveries of student items. When the public is allowed free access to a university campus, students’ safety is at risk, and there is an increase chance students will have their items stolen. The public does not realize the inconvenience students suffer at their hands, and often see themselves as merely enjoying a leisurely day on the campus. To resolve such discomfort and elevate students’ concerns, civic awareness should be emphasized. In other words, there is a need to press thoughtful consideration of students. School broadcasting networks or IPTV should create campaigns that center on the plight of students so that visitors to the campus, after seeing their concerns, will realize the harm they are inflicting upon students as they strive to achieve academic success. The solutions could raise civic awareness, and visits by the public to the campus would stop distracting students. A second option would be to restrict the public from using school libraries. In other words, school libraries should be only accessible by enrolled students. The purpose for a university is education, so it needs to provide students with quality facilities, services, and schooling environments where students may study and learn comfortably. To do so would require only that school ask students to present their student ID cards before entering the library. It would greatly reduce the open campus problem and ease students’ study and learning. The public would still be granted campus access, but the library would be off limits. To enter Sookmyung Women’s University’s central library, students must present their student ID card as proof of their enrollment at Sookmyung. With such a policy in place, students at Sookmyung have yet to voice as many grievances about the public wandering about school grounds as there are at other universities. Lastly, for the safety of a school and its students, universities could make agreements with nearby police office stations. Yuseong-gu Station in Daegu has entered into a business agreement (MOU) with Hanbat National University to ensure no or little criminal action occurs on campus and to form a healthy campus culture on university grounds. Park Byeongyu, Chief at Yuseong Station, said, “Yuseoung police officers work effortlessly to guarantee a safe campus environment for its students by patrolling the grounds and any areas deemed susceptible to crime. And, if there is a call for a police officer, we send enforcement officers immediately.”7) A university that enters into an agreement like this one would make students feel safer and protected. Last March, Chungju Station implemented supporters to restore public order and campus police in Konkuk University so that students are able to protect themselves. Other campuses should follow the initiatives taken by these school if students are to truly enjoy a healthy campus life. “The owner of campus is not its students.” This ironic statement was made by students angered by the public who regularly appear on campus. Even though the notion behind opening university campuses to the public is sound, unforeseen problems have arisen that need addressing. Together, the public and students need to work to create a healthy and enjoyable campus life for all. The Sookmyung Times also hopes that students once their stress levels have been lowered greet the public on campus with happy smiles.